The Cape Malays, some of whose ancestors came to South Africa from Indonesia during the 17th and the 18th centuries, have developed a way of life which is a unique mixture of East and West. While many of their customs are determined, as with all Moslems, by their religion, they gradually became westernised through contact with the Dutch at the Cape. The instruments generally used are guitar, mandolin, banjo, cello with, occasionally, violin and double bass, and the ghoema (small Malay drum) for the picnic ditties. One result of this was that the songs of the East were replaced by those of Holland, to which they added many of their own makings. The songs fall under four groups - the traditional wedding songs, Dutch folk songs of various kinds, moppies (comic songs) and ghoemaliedjies (picnic songs). 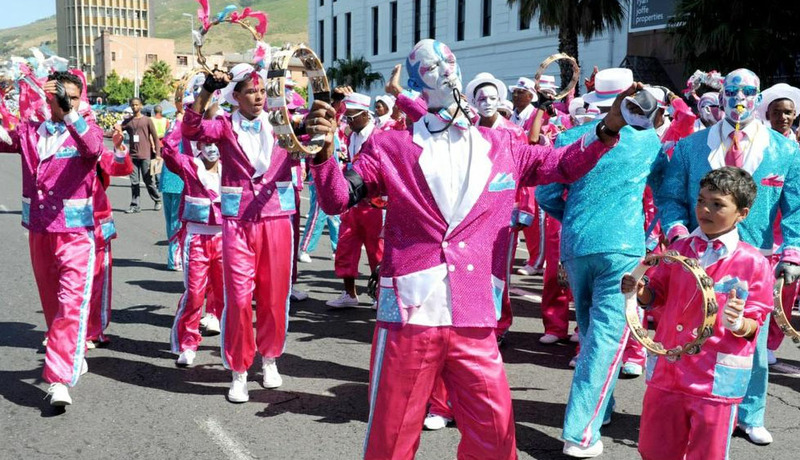 The folk song is an important feature of the Cape Malay community and can be heard on many social occasions, especially at weddings, where traditional love songs are sung. These are the only songs in which a trace of the East remains, with the soloist singing in quarter tones and the choir joining in on the European tonal scale.